Steady progress over last month. Layers of undercoat- grey, pink and now red- on both sides of 7828. A final few coats on the roof with extra layers in strategic places has finished work above the cantrail. 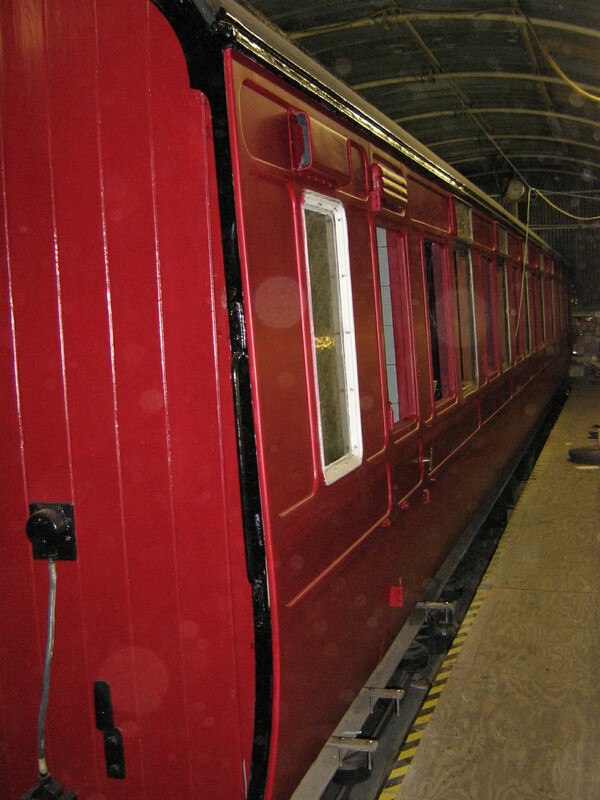 All four side doors have been adjusted and in the case of one, completely re-hung, to permit easy closing and improved fitting. The bump stops, locks, keeper plates, handles, budget locks, escutcheons and guide wedges have been painted and bedded on before being undercoated with the rest of the sides. All of the frames for the fixed windows have been cleaned and old screws removed. The internal sections of window frame are being stripped prior to refinishing, taking advantage of the glass being out for the moment. 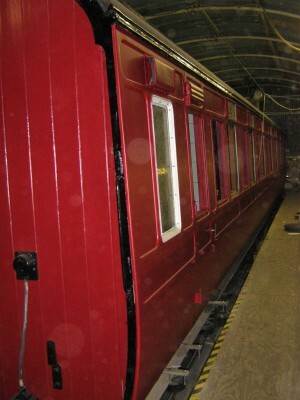 All of which means, apart from window glass, the exterior is complete except for gloss painting and transfers now. 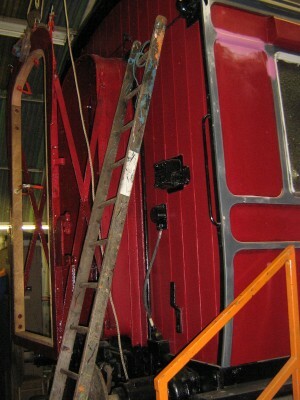 Work continues on the upgraded gangway. 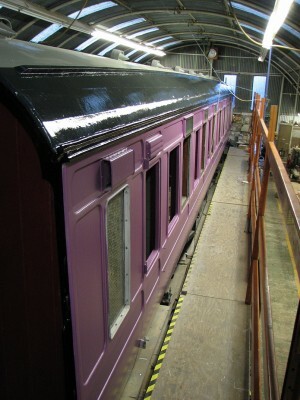 New clampwood has been made to support the bellows when they arrive, and the steelwork has been painted up to midland maroon gloss. 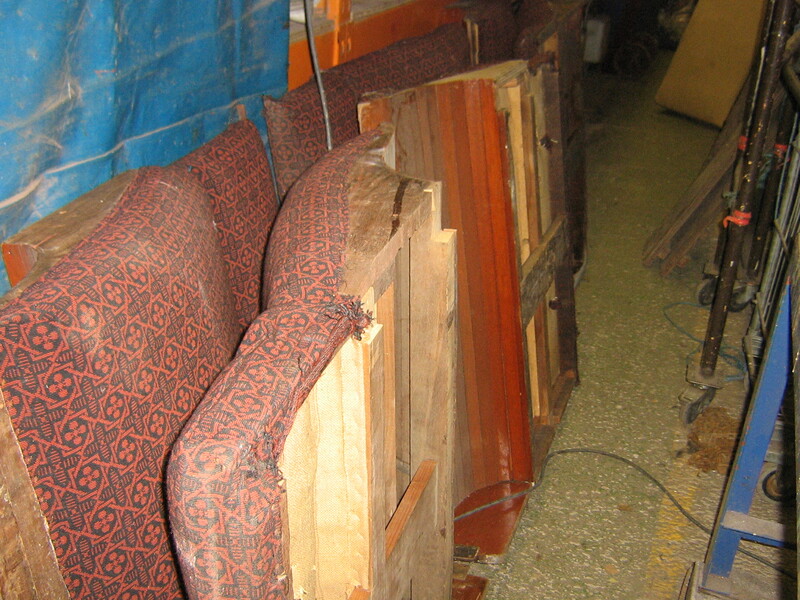 I’m informed the rewoven 1925 moquette – to replicate 7828’s original seat coverings – is ready for collection now, and to this end some of the seats have been tentatively removed from storage to allow assessment. You don’t often see work to this standard, it’s remarkable. Fantastic work, great to see it so close to completion now.